Welcome to the Central City Colorado homes and real estate portal: one stop for finding single family, multi family, condos, townhomes, lots, land, and acreage real estate for sale in Central City Colorado. You can find homes for sale by sale types like new construction, and short sales or you can search for homes for sale by geographic characteristics like subdivision, school, and maps. The properties for sale in Central City change daily. 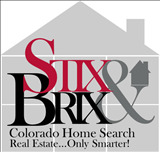 Check back often for all the latest information on homes for sale in Central City. Central City is located in the Rocky Mountains, only 35 miles west of Denver. With the newly opened, Central City Parkway, visitors can reach Central City 12 minutes after exiting off of I-70 at exit 243. An easy, incredibly scenic drive to a historic destination. Central City is at the southern end of Gilpin County at an elevation of 8,510 feet. There are numerous summer and winter sports and outdoor activities to be enjoyed in and around Gilpin County. Central City has an excellent museum, the Gilpin County Museum, located on 1st Street directly above Johnny Z's Casino. The oldest operating Opera House in the United States opened in Central City in 1878 and is located 1/2 block north of the Teller House. The Teller House is home of the famous “Face on the Bar Room Floor”. Read more about the real estate market in Central City.